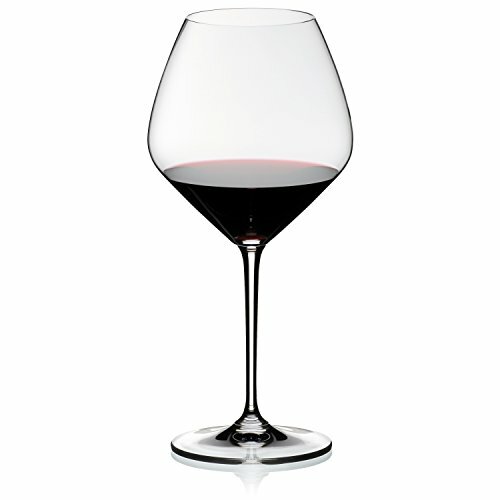 A perfect addition to your Riedel collection, these Riedel Vinum Extreme Pinot Noir glasses are designed specifically for full-bodied red wines with high acidity and moderate tannin, such as Pinot Noir, Barbaresco, Barolo, Beaujolais, Red Burgundy, and Nebbiolo.The Extreme line, most known for their larger, more dramatic diamond shaped bowls, provide an even larger surface area, exposing the wine to more oxygen and allowing it to fully open up, resulting in heightened performance, and further enhanced drinking experience for those using them. The Riedel Vinum Extreme collection was designed in response to the continued improvement in the quality of wines being produced today. As wines have become more dense, concentrated and perfected, so has the call for new glass shapes. The Extreme line is machine-made of 24-percent lead crystal.